"The expression “Living on a Promise” is about potential and possibility, hope and trust. It’s also about lies, broken promises, and disillusionment. Each different work invites the viewers to engage in their own way and on their own terms. Sometimes I want the colours to overwhelm, sometimes I need them to be at the service of a proposition, and other times they do something different. I make the colour choices as I go along. I use feeling and experience." NIKE SAVVAS is interviewed by Art Guide Australia about her forthcoming exhibition at ARC ONE Gallery, Living on a Promise. 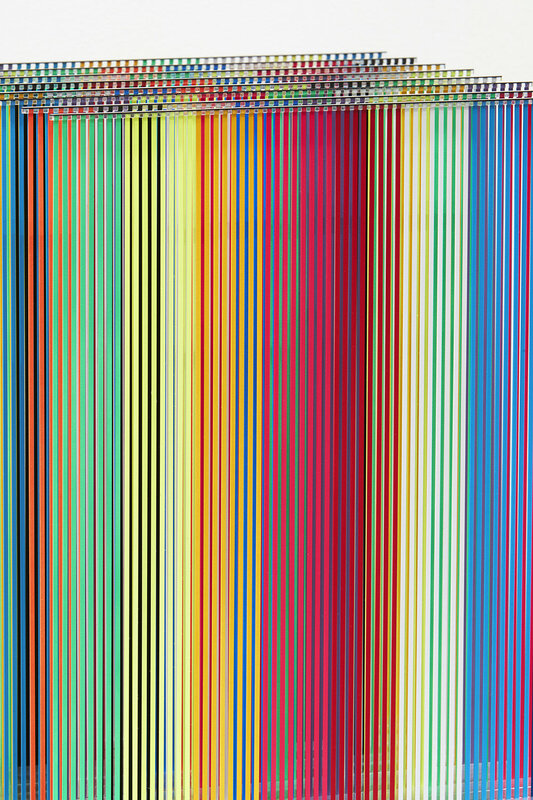 Nike Savvas, Living on a Promise (A1) (detail), 2017. Photo: Zan Wimberley.